Beautiful and unique bag from Innocent World in black, first edition! 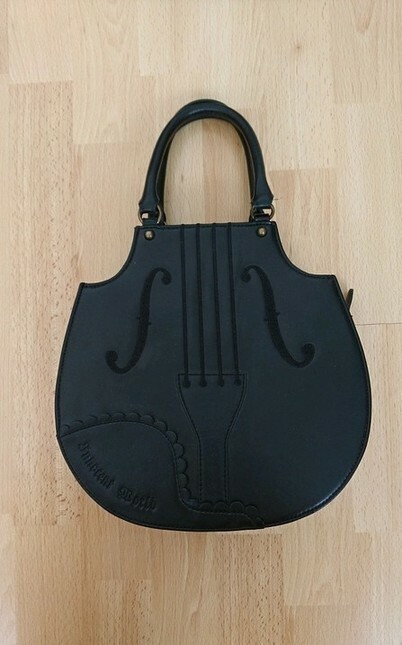 Here's the beautiful and unique Violin bag from Innocent World, it's the first edition in black. It's got one pocket on the outside and one on the inside. It's a small handbag that can be carried easily.